3 Dimensional hand sculpted butterfly with art glass, millefiore and mirror. Set with a background of clear and tempered glass with custom tinted grouts. 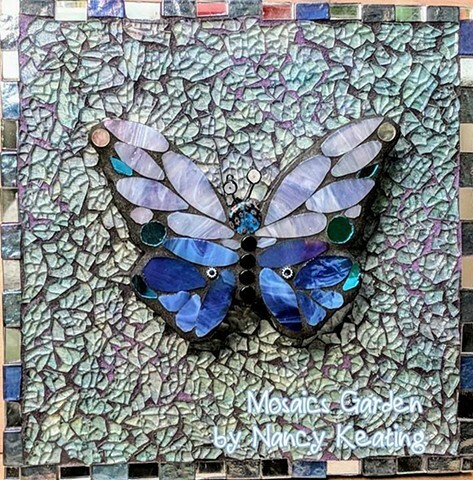 Learn to create Tempered Glass Mosaic Art in my On-Line Workshop.